It appears that Elecraft is now accepting orders for the KX3 QRP tranceiver that we first mentioned on QRPer.com during the 2011 Dayton Hamvention. Order are expected to be shipped in February 2012. The kit version of the KX3 will be priced at $899.95 US, while the factory assembled and tested version will sell for $999.95 US. Some of the [KX3] options can be ordered now, while others (including the internal 2-m module and 100-W external amplifier/ATU), will be available later this year. In addition, a custom-designed KX3 dust cover is available (please contact ElecraftCovers@gmail.com ). Delivery of both the basic KX3 and options subject to availability. As always, we invite suggestions for new features, improvements and accessories. 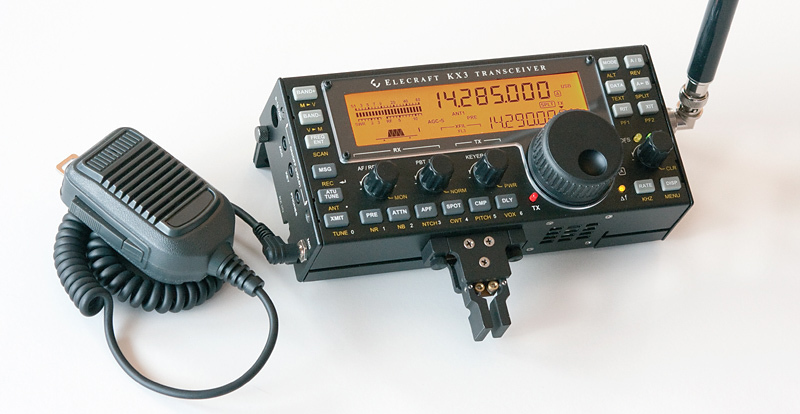 This entry was posted in Announcements, CW, Portable, QRP Radios and tagged Elecraft, Elecraft KX3, Elecraft KX3 Order Form, Elecraft KX3 Orders, Elecraft KX3 Pricing, KX3, Ordering the Elecraft KX3. Bookmark the permalink.